Sparkling wine giant Henkell Freixenet reported strong revenue growth in western Europe since Henkell & Co acquired a controlling stake in Grupo Freixenet last year. Henkell Freixenet saw its sales grow by 56.5% last year, reaching €823.7 million after tax. Freixenet’s sales volumes rose 4.9%, reaching 95.6 million bottles over the course of last year, according to the company’s financial results, making it the most widely distributed international sparkling wine brand. Globally, sales of Henkell, Germany’s most exported sparkling wine brand, saw a decline in sales of -3.3% during 2018, which the company has put down to stock reduction in regions where the wine is particularly popular; Germany, Canada and Australia. Henkell & Co. ended the financial year with a ‘considerable’ 21.6% rise in revenue to €165 million in Western Europe. This, the company said, was bolstered by the development of Copestick Murray in the UK, as well as Mionetto Prosecco in Scandanavian countries and France. 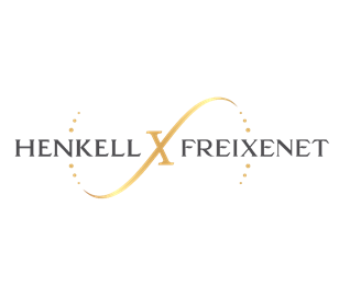 “Both Henkell and Freixenet have enjoyed a successful start to the new alliance,” Dr Andreas Brokemper, spokesperson for the Henkell Freixenet executive board, said. German sparkling wine company Henkell. & Co bought 50.7% of Freixenet’s capital for just under €220 million last year, following a long period of negotiation between the two parties. Both companies have been known a Henkell Freixenet since January. Freixenet is present in 140 countries, known most notably for its Cava, but also owns vineyards and brands in Argentina, Australia, Mexico and Champagne. The Henkell Group meanwhile has a wide portfolio of sparkling wines that includes Mionetto Prosecco. Last November Freixenet UK and Copestick Murray announced they will merge to form one company from January 2019. I heart Wines, which is one of the UK’s fastest-growing brands, saw sales rise by 28.2% in 2018, with 19.5 million bottles purchased last year. The combined business increased its share of the German sparkling wine market to over 20% by the end of the year. Henkell Freixenet has ambitions to make up 10% of the global sparkling wine market by 2025. In 2017, Henkell & Co. Group’s revenues amounted to €702 million, while Freixenet S.A generated €535 million in the past financial year. Together, the two companies employ 4,000 people worldwide.